Oh, it’s the most wonderful time of the year. VIB Rouge members at Sephora get 20% off all their purchases with the code 20ROUGE. I checked, there are NO EXCLUSIONS, which is kind of insane. 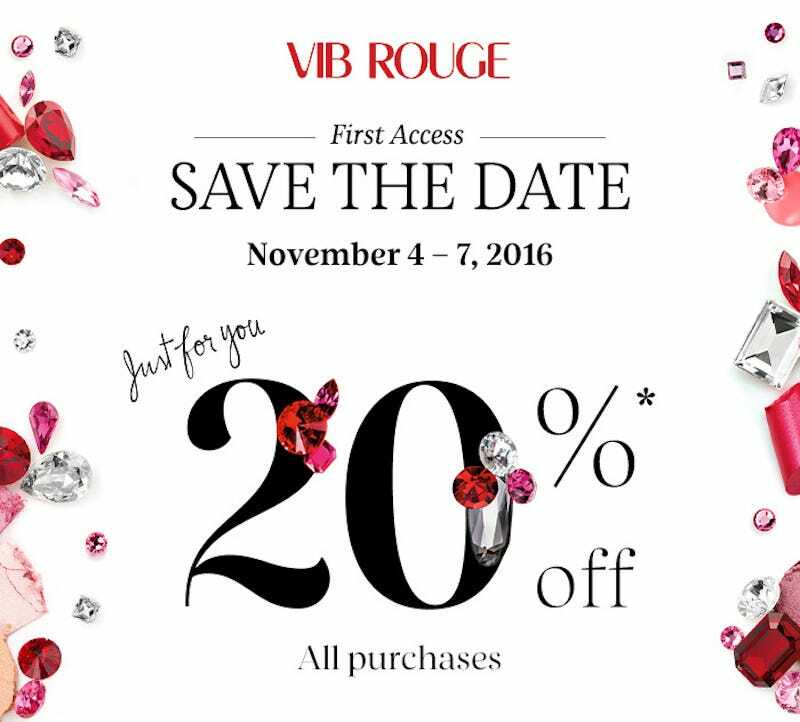 Not a VIB Rouge member? Regular VIB members will get this discount come the 11th (don’t worry, we’ll remind you).